An opportunity to meet Chris Woodroofe LIVE and find out what life is like at one of the world's busiest airports. An opportunity to meet Chris Woodroofe, Chief Operating Officer live and find out what life is like at one of the world’s busiest airports. Chris was appointed COO in November 2016, following a successful career spanning multiple roles at Gatwick. He joined the airport in 2006 to oversee baggage operations in the North Terminal and held a number of other senior engineering roles before becoming Head of Engineering in 2010. In 2012, Chris became Head of Security, leading a programme of work to create Gatwick’s world-leading security operation. In 2015, his role was expanded to include operational accountability for stable operations, terminals and ensuring that the airport’s transformational airline moves programme was successfully delivered. Chris is a chartered chemical engineer who left Imperial College, London, with a first class masters degree to join Nestlé’s UK graduate scheme. He also holds an MBA with distinction from the University of Warwick. Gatwick became an aerodrome in the 1930s, but the airport we know today opened in 1958 with just 186,000 passengers passing through the airport in our first year of operation. Today, it’s a different story. We’re open 24 hours a day, 365 days a year, and we now help take more than 43 million passengers to 228 destinations in 74 countries around the world every year. London Gatwick operates the world’s most efficient single runway and is the second largest airport in the UK. Uniquely, we’re home to a mix of airline operators from scheduled to low-cost and charter airlines. Fifty-three airlines currently operate (as at December 2016) regularly from the airport including easyJet, British Airways, Norwegian, Virgin Atlantic, Emirates, Cathay Pacific, Monarch, Thomas Cook, Thomson, Turkish Airlines and WestJet. We are the biggest base for easyJet, one of Europe’s most successful airlines, and we’re also home to key charter operations such as Thomson and Thomas Cook. We’re also the airport with most connections to and from other UK regions, with significant numbers of passengers travelling on Flybe, easyJet and Aurigny. In addition to the major long haul leisure operations of British Airways and Virgin, we are now seeing the emergence of long haul services to the Far East, with the arrival of Turkish Airlines, Cathay Pacific and Tianjin Airways. These complement the existing long haul services provided by airlines such as Emirates, WestJet, and Norwegian. Gatwick Airport is owned by a group of international investment funds, of which Global Infrastructure Partners (GIP) is the largest shareholder. 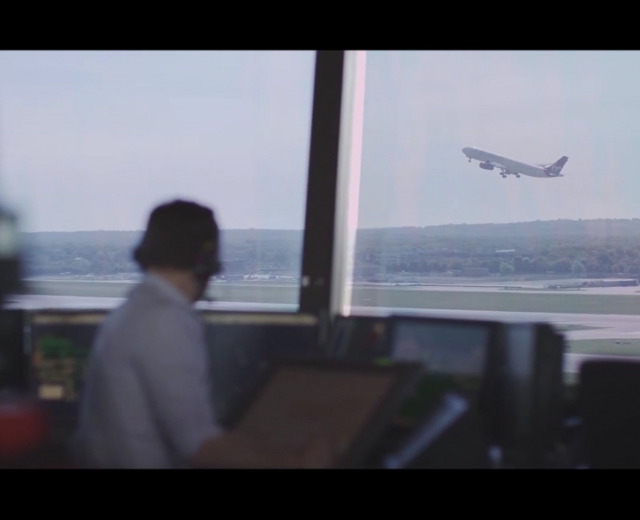 An opportunity to meet the apprentices live at Gatwick Airport during the course of the day and find out what life is like at one of the world's busiest airports. An opportunity to meet the apprentices live at Gatwick Airport during the course of the day and find out what life is like at one of the world's busiest airports..
An opportunity to meet the engineering apprentices live at Gatwick Airport during the course of the day and find out what life is like at one of the world's busiest airports..
Join Gatwick Airport air traffic control staff as they talk about their role at the airport.